Pleased to announce that one of those nice young men from the Wyrd camp now has a taster of the forthcoming EP. 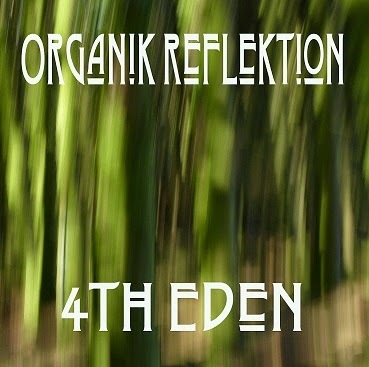 Martin Eve aka 4th Eden has just posted a link to snippets of the new EP entitled Organik Reflektion on his Organik Reflektion Soundcloud page. The EP will be launched next month and is part of Martin's music degree project to incorporate found sounds into his compositions. Could shooting save endangered wildlife? The latest issue of Gonzo Weekly (#121) is another bumper one at 96 pages and will soon be available to read at www.gonzoweekly.com, and to download at http://www.gonzoweekly.com/pdf/. It has Annie Haslam on the cover, and an exclusive interview with her inside, as well as the Renaissance European Tour Dates. Doug Harr interviews Gryphon, but of course the whole magazine was disrupted totally by the untimely death of Daevid Allen on Friday. There are tributes and his last messages inside. We send cartoonist Mark Raines to a Desert Island. Neil Nixon reports on an even stranger album than usual, Wyrd goes avant garde and there are radio shows from Strange Fruit and from M Destiny at Friday Night Progressive, and the titular submarine dwellers are still lost at sea, although I have been assured that they will hit land again soon. There is also a collection of more news, reviews, views, interviews and pademelons trying to choose (OK, nothing to do with small marsupials having difficulty in making choices, but I got carried away with things that rhymed with OOOOS) than you can shake a stick at. And the best part is IT's ABSOLUTELY FREE!!! ON THIS DAY IN 1901 - Utah Governor Heber M. Wells vetoed a bill that would have relaxed restrictions on polygamy.